Last week, two women I knew well passed away. One was a beautiful woman named Sterle. She was my friend. She was young. She had a lot to live for. She was single. She didn’t have children. But she nurtured many of the young members of my church. I miss her already but I know there will many more who miss her even more. The other woman was Bernice. I have two aunts named Bernice so this lady was really special to me. She and her husband adopted me when I started attending my present church. They loved on me, they encouraged me, they introduced me to other people who have become close friends. Over the last few years, when Bernice got sick, her husband took care of her and they were a wonderful example of love in action. Tomorrow is her funeral and her husband is heartbroken. I am not sure what we can say, if anything, to comfort him. A few days ago, a young man I went to primary school with in Jamaica was killed tragically in his home. Today, I heard that one of the young women in my youth group at church, one of my girls, lost her grandmother yesterday and her father this morning. On Saturday, I am going to visit someone who is very sick and not expected to be around much longer. Died. Passed away. Killed. Murdered. Gone. Lost. How many more ways can we talk about it? Honestly, I am numb from all the news and talk of death and sickness. But as we think about death, we also have to think about life. Sometimes, when I’m sad, after I’ve prayed, I turn to entertainment, TV in particular – the old favorites that can keep me engaged just enough so I can make peace with my thoughts. Tonight, though, Richard Webber in Grey’s Anatomy said the most fitting words. It felt like he was addressing me and I’d like to share those words with you. 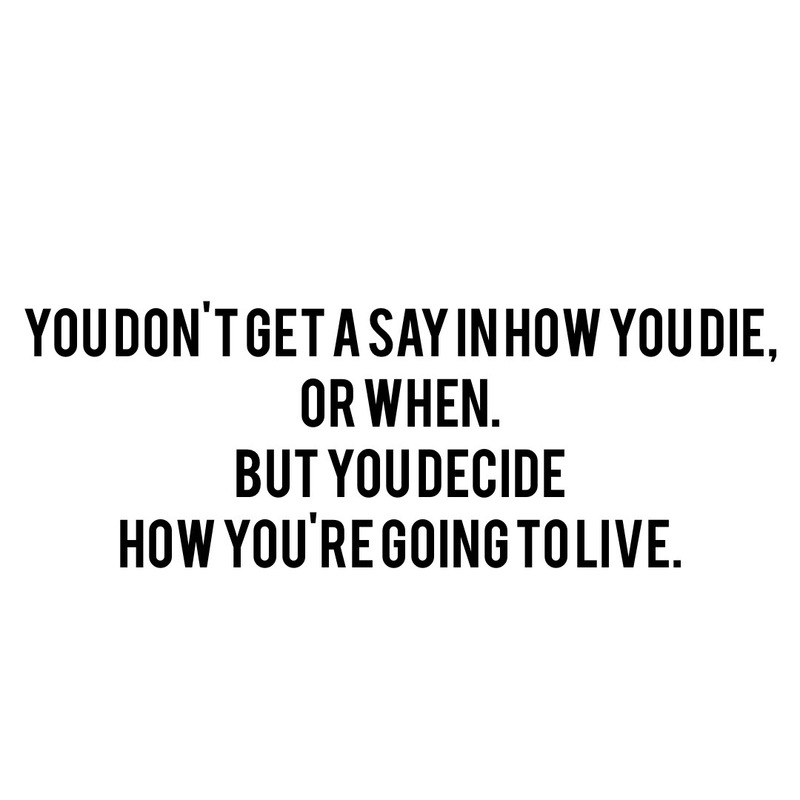 You don’t get to decide how you die, or when. 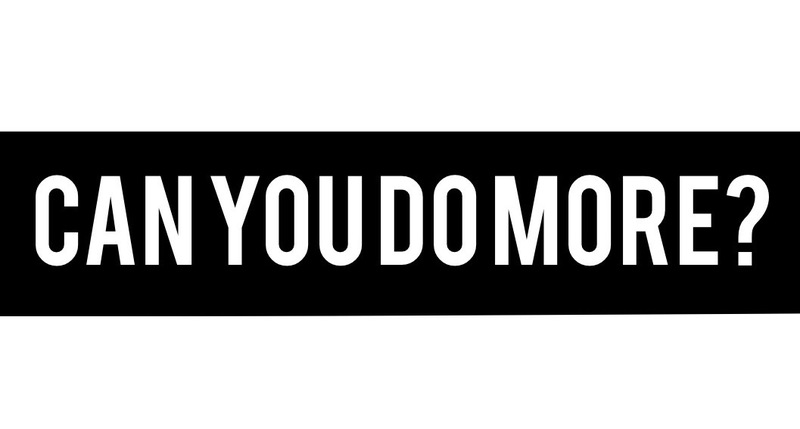 But you decide how you’re going to live. So decide! Is this the person you’re going to be? Is this the best that you can be? Can you be stronger? Kinder? More compassionate? Ask yourself the questions and decide the answers. Breathe in. Breathe out. Then decide. So sorry for all the loss you have been experiencing! Wise words by Dr. Webber!!! I am going to remember that!! I am so sorry to hear about the people you have lost. I am praying for all of you. I am also tired of hearing about all the bad things happening recently, but I have to remember that God is in control.